Shout Out! Seattle is back! Home » News & Events » News » Shout Out! Seattle is back! Our annual fundraising benefit show is back, and just in time to ramp up for Summer Camp! 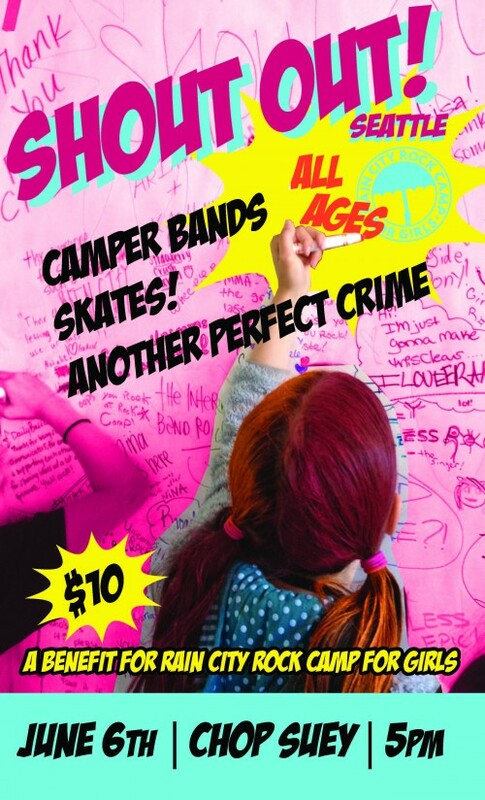 Join us on Saturday, June 6th for this ALL-AGES show at Chop Suey (from 5-8:00PM). This is your chance to reunite with your friends from Summer Camp and raise money for your favorite organization! 😉 Get your photo taken in our costume photo booth, buy tix for cool raffle prizes and get a sharpie tattoo while you listen to amazing bands! And your hosts… RCRC Camp Directors! We can’t wait to see you there!